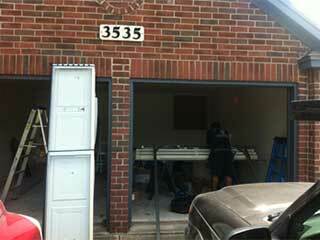 It is possible to take small steps to preserve the life of your garage door over time. We recommend all garage owners ensure there doors use seals to protect against weather damage and to ensure basic insulation. They are inexpensive and easy to install so there is no reason not to check this basic feature is in place. Why Bother with Door Seals? The main job of door seals is to provide proper insulation to your garage. When the temperature inside is kept optimal, this will prevent the chance of energy escape from your home through your garage, keeping bills down. It will also help against extreme weather events, you don't want to risk rain seeping into your garage and forming a puddle around your belongings. Another major benefit of sealing is to prevent moisture build up and mold growth. Mold requires warmth and moisture to grow - with proper seals in place you can prevent these conditions from ever being allowed to form. Moisture and mold can have a devastating impact on parts of your mechanical system so its important you protect against it. The seals can improve the security of your garage. Patching up anyg aps will make it more difficult for burglars to sneak a peek inside and use tools to force the door open. Any increase in the level of security is important, no matter how small. The bottom edge of the door must be properly sealed. This is essential The same applies to the frame. We also recommend applying sealing between the panels as well, it can easily be removed in in the event that you require a panel repair job. Contact our professionals at Garage Door Repair Rancho Cordova with any further questions about this subject or to discuss booking a repair or maintenance appointment.